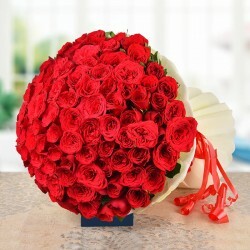 Flowers inspire us a lot. We get to learn a great deal from these beautiful creatures of the nature. 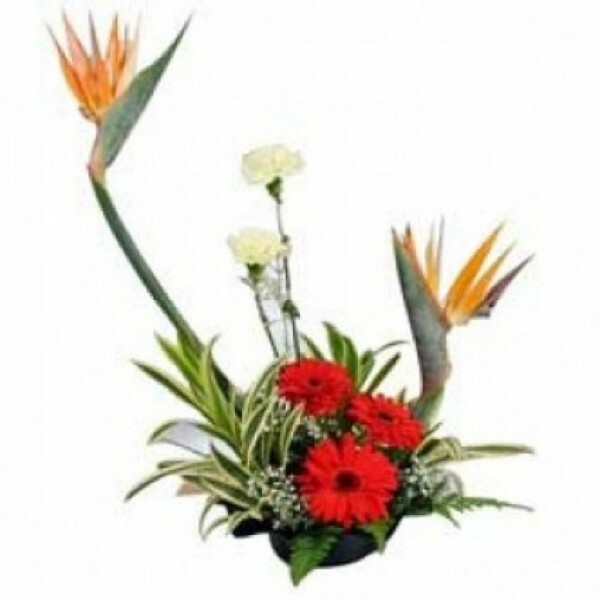 Send this exotic table top arrangement made with 2 handpicked Bird of Paradise, 3 Red Gerberas and 2 White Carnations. Simply Exotic!